I'm taking a break from Valentine themed projects today to share a couple of cards I made yesterday from some of my Papertrey Ink stash in honor of their 7th Anniversary festivities. 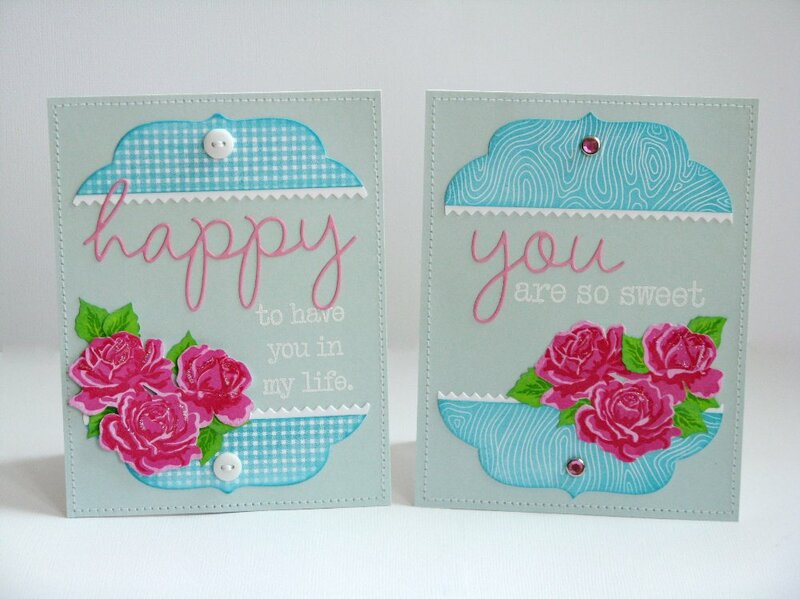 The challenge is to create a card with a sketch and one of their color recipes found HERE. 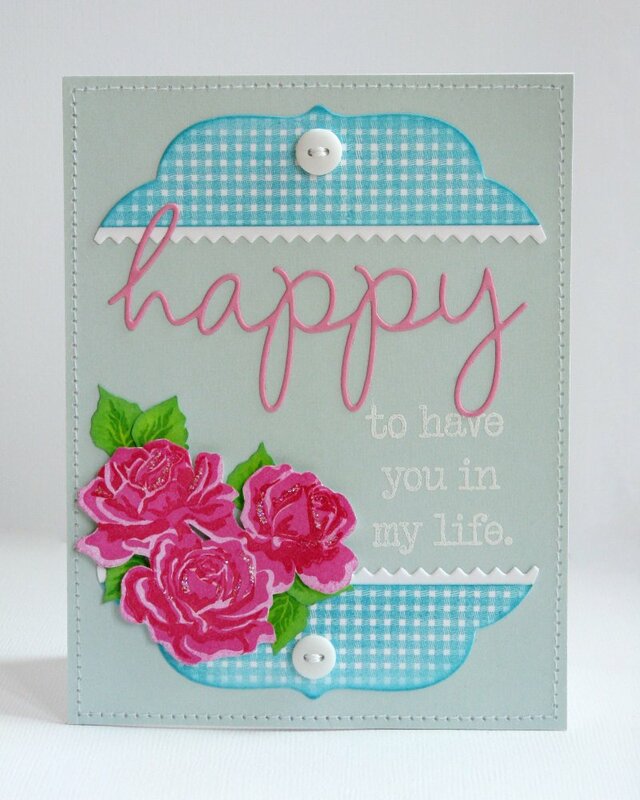 For my first card I used the Mat Stack 5 die and then stamped a gingham background over the top. For the subtitle portion of my card, the sentiment ran a little long for the space I had available so I snipped it between words to create three individual lines of text and to better fit the space I had to work with. This was my first time playing with my Sweet Life multi-layered rose stamps and I am in love. Such pretty results with so little effort! To finish off my roses I added a little stickles glitter glue to their petals. For my second card I wanted to try a bit different look with the woodgrain print and rhinestone details, moving my rose grouping to the right to better fit my change in sentiment. Wow! I did a double take on these ... I can't believe how beautiful your stamping is here! I thought your flowers were premade die cuts. Just amazing! Super pretty and feminine!! 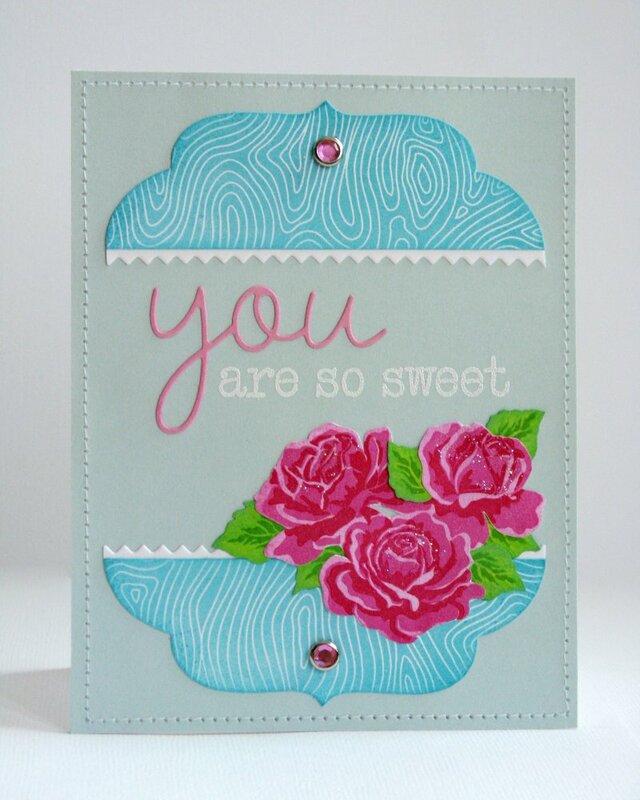 Love all your beautiful stamping and the glitter on the roses is a sweet touch! !